Blog Book Tour | “3,000 Miles to Eternity: A true internet love story” by Duane & Selena Pannell Otherwise known as “the book!” Jorie has been happily chattering about for over a month! Acquired Book By: I am a regular tour hostess for blog tours via Cedar Fort whereupon I am thankful to have such a diverse amount of novels and non-fiction titles to choose amongst to host. I received a complimentary copy of “3,000 Miles to Eternity” direct from the publisher CFI (imprint of Cedar Fort, Inc) in exchange for an honest review. I did not receive compensation for my opinions or thoughts shared herein. I was originally scheduled to post my review on the 12th of July – a date I knew would give me a heap of lead-way to post my thoughts and ruminations because I honestly couldn’t wait to dive straight into reading this book! I started at least two weeks early, which for me was a bit of a luxury as I tend to run into my deadlines or stay so close on top of them, that it doesn’t give me flexibility on the hours I can give the stories. I never would have felt severe lightning storms would have taken me offline nor given me the grievances they had where being online was not even an option! Imagine my shock, as I was about to settle into blogging the rest of my thoughts this Monday eve, when the phone rings alerting that there is a major water crisis and all water is turnt off! Turnt off? Oy vie. First it’s the electricity, now it’s the water! Talk about when it rains it pours down in spades! Thankfully, I can continue to curl inside #3000MilesToEternity, blog my joy about what I’m finding inside, and have my worries about my tardiness put aside knowing the authors are understanding of these little hiccups that disrupt our lives! I truly was thankful for their understanding and seriously hope that everyone I’ve been chatting too about this real-life love story (both online and off) will enjoy reading this post! I was happily surprised to find my ‘tweets’ quoted on the Pannell’s wicked new site for #3000MilesToEternity! Inasmuch as finding that they found a way to ‘pin’ a tweet correspondence of mine to their Twitter account! It’s nice being able to relate to author(s) how your enjoying the beauty of what they left behind for you to devour on the page! You may or may not have stumbled across my review of Letters from Skye in which I articulated a definitive passion for letters and correspondences; or perhaps, you might not have realised I broached the subject again on my review of Lemongrass Hope. It was within my review of Seven Letters from Paris I first had my taste of a memoir writ in a style of love for Epistolary loveliness and it gave birth to a newfound joy of finding real-life love stories interwoven with a throwback to communicating via the not-as-lost-art of corresponding over long distances! You’ll also take note of the growth I went through as a book blogger as these posts arch back over a shortened history of my past two years I’ve blogged my bookish ruminations. A smaller nod to this side of my life is contained in the threaded index of Postal Mail | Letters and Correspondences (which will continue to expand). It was an original hope of mine to bridge the gap between my non-bookish interests and the world of stories on my blog, however, time has escaped past me and this still remains a fervent goal. For you see, I’ve been a correspondent since I was quite a young girl and communicating via postal letters and correspondences is a true joy I’ve had the pleasure of having in my life. Knitting together your innermost thoughts and conveying a slice of your life inside the bolt lock of a letter is a true experiment in giving a piece of yourself to an encapsulated vessel of friendship and casting it out into the world to ride the four winds and sail into a postbox of a dearly cherished friend. Start to finish, letter-writing is not something straight out of 19th Century England nor a dying age of inked pens and stationery, but a pure joy of tactile connection and a slower paced conversation where time isn’t inking off the clock but rather has become suspended and elongated. It strikes to reason that friendships formed through correspondence can lead to romance, as women are not the only letter-writers out there nor are they the only ones who have picked up the creative side of it through artistic experimentation via mixed media art collages and mail art. Men such as Tim Holtz are changing the way art is visually seen and understood within the mixed media realms, but it’s bloggers like The Missive Maven (@MissiveMaven) who are truly championing us all and giving us a nexus point to interconnect. If I were to dream, I’d love to start to integrate pieces of this culture into my blog, as I’m a mixed media collage artist who fancies curating mail art (especially being rather artsy with her envelopes!) and using Indie Artists who create original stationery (sold on Etsy) as her vehicle of choice to carry her words abroad. There are a wicked lot of resources I can share as time shifts forward but for now, I have only been giving out a petering amount of information as I was not as sure to the timing of bringing this part of my life into the forefront of my non-bookish blog posts. 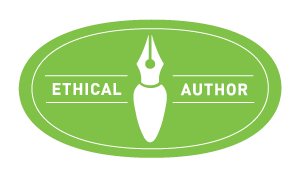 To a greater extent, I’m a future typosphere blogger as well, because the logo for “The Ethical Treatment of Typewriters” is a bit of a clue to the fact I’m a bonefide vintage typewriter enthusiast! However, this nonfiction love story has a very modern twist to the style of correspondence I have a penchant for myself – the Pannells met online and thereby their entire exchange took place in the netherspace of the internet. I, too, have embraced email and electronic ecards (trusting Jacquie Lawson above all others) but try as I might, my attempts to carry-on a friendship solely through electronic means has not always ended well for me. This is in part my main inspiration for wanting to read a true-life success story where lives were changed and a romance was sparked out of that curious little sphere between where friendship begins and love knits together a connection two souls might not have felt would have been possible if their paths hadn’t crossed inside those little spurts of words and conversation. As an aside, my absolute favourite letter orientated motion picture is truly the composite for this real story: You’ve Got Mail. There is a heap amount of hope for all of us who are seeking a real-life romance by reading stories such as these and for embracing the unexpected of where communicating through alternative means of conversation can lead to something quite serendipitous. During my first Twitter chat involving #bringbackpaper hosted by the lovely Jocelyn (@ReadingRes) I had a secondary convo about this lovely book with fellow letter-writers! You can gather the gist by viewing this twitterverse capture of that convo! What I found inside that wicked awesome chat was an incredible network of like-minded individuals who love letters & correspondences as much as I do myself! So much so, I have active plans to pick up the momentum next month and make a more regular impression on their activities and meet-ups! The creator behind this movement has a compliment feature on her blog simply stated: Read. Write. Create. wherein your meant to find *balance! * between reading books, your personal writerly pursuits (i.e. fiction, poetry, journalling, etc. not book blogging per se!) and creating art. I definitely want to take up the torch as I miss my knitting UFOs (Un.Finished O.jects) and my mail art! It felt like I had found people I could relate too who share my mutual passion for the creative arts in which I enjoy outside of book blogging and reading. I hope the ones I share the link with on this book will see why I was inspired to draw their eye on it’s release! But . . . what if? What if two people who were meant to be together for eternity had to live their earthly lives separate for many years? And what if when they did finally meet, they were a little broken and the miles apart helped them ease into their destiny together? Years before online dating became a respectable option, two broken and imperfect souls digitally crossed paths on their journey back to God. Join PapaBear38 (Duane) and Moongoddess (Selena) as they share the emails and the notes that eventually brought them together. Unafraid to dig deep, this fascinating love story is a book you won't be able to stop reading. From the first page, you'll find yourself smiling, laughing, and maybe shedding a few tears as you see the hand of God in their lives. Engaging and entertaining, this book is the perfect reminder of the power of God's love, redemption, and hope. DUANE AND SELENA PANNELL “met” online while living in Virginia and Alberta, Canada. After a complicated long-distance relationship spanning four years, they married and have a son together. Their first book is borne of yet another separation in their lives when Selena was in Alberta for several months in 2013 with her dying father. Today they serve as missionary group leaders in the LDS (Mormon) Addiction Recovery Program where they lead two 12 Step meetings a week. Duane is putting the final touches on a manuscript addressing addiction recovery while Selena homeschools their son and teaches archery in her spare time. What truly captured my attention in the opening pages of the Pannells journal entries is the willingness to be raw and openly honest with their readership. They were each dealing with major life shifting moments of adversity and yet, part of their journey towards finding each other was finding the key to free themselves by both the afflictions they were facing and the walk they had to take in marriages that were not built on a strong foundation. They openly reveal their innermost thoughts and fears, as they peel back time and the internal moments of self-doubt and self-destructive patterns of behaviour. In this, they are giving a romance a realistic grounding of reality – knitting together how romance doesn’t always come together in a way your mind is hoping it will spin into your life, but rather, it alights gently as if a whisper of a thought arrives without prior inclination to root out it’s origin. They give you a firm understanding of where their lives were individually in marriages which ended in divorce, partially due to finding it hard to bridge a gap between differences in spirituality and religion but also, because both of their prior relationships had turnt toxic in one way or another, and it was simply best for both of them to exit rather than to stay. They could have taken the easier route and not included the passages of where you are reading about how they struggled with both their faith and their strength to proceed forward through depression, but I feel that by opening up about how they each tackled their depression is a gateway towards helping others understand how they can handle living through their own personal difficulties. Depression isn’t as openly discussed as it should be nor is it outside the line of being taboo in literature. It’s a real organic progressive issue that many people face and it’s not a simple resolution towards internally changing your outlook once depression sets in. I felt they both honoured themselves by expressing what was happening as much as explaining how they felt in the moment each of them lost hope. Hope is another topic that is not oft discussed nor explored, but it tends to be the central key towards embracing your faith, whilst giving yourself a measure of grace at the same time. We can all thrive on hope and live on hope towards a day where a change can effectively re-direct our course but if we lose sight of hope and find ourselves without even a small flickering of a light at the end of where our journey is leading us; despair and an overwhelming sense of numbness can surely overtake our well being. I especially enjoyed learning more about the LDS faith and how LDS played a role in how the Pannells found each other. As I have mentioned previously on other showcases on behalf of my readings of Cedar Fort, I am a non-LDS Protestant who appreciates reading a wide range of literature, including those selections in the main branch of INSPY (or Inspirational Fiction as it’s more generally known). I appreciate reading about other cultures and religions, including those which are a branch close to my own yet independently different at the same time. Light is Light. This fundamental truth is why irregardless of where your own spirituality lies, you will find this an enjoyable read. Each of us whose path walks in faith is seeking someone who shares our path and can connect to us on a level therein. In this, I believe is their greatest inclusion in their story: how each of us are seekers sharing the same goal. I think I was in love with the idea of the book long before I ever opened the pages, because a part of me has held a firm hope that life is not just the journey towards whom we’re meant to become but rather an awakening of understanding who we are whilst we are alive. Part of our journey is towards realising our own authentic and innermost living truths about who we are and of whom we’re attracted too; if perchance, we’re inclined to marry and/or develop a long-term relationship with someone. If you were to be as openly honest as the Pannells, if love enters your life at a stage on your lifepath where you’ve already have had the pleasure of curating a heap of experiences and adventures prior to finding the person you want to spend your hours alongside, you have to accept that they might have as much baggage being brought with them as you have yourself. Yet, at the heart of a love story such as this one, it’s not just being realistically open to the possibilities of finding someone who shares your values and spirituality, it’s also being present in the moment realising that who you were in the past is not the vindication of who you are in your present. This is a love story that is written from the perspective of two souls seeking not only solace from their darkening last days of their first marriages but a freedom from past mistakes and the regrets which stitched themselves into a tapestry of depression and self-doubt. They were each seeking a way towards a light of understanding – not just for their own sakes, but for the sake of finding something to hold onto when their lives fell apart and turnt away from the path they each felt they would be walking. It takes a certain level of courage to publish entries out of your private journals, to help tell the back-story of where you were before you met and to encourage the empathy of the reader to understand the full scope of how and when your life forever changed. There was a part of me, as I read Part I sensing that it was Duane who initiated the contact with Selena; unsure how that came through with such an alarmingly certainty but my instincts were correct! I apparently was a bit cleverly on point on the whys and hows of their initial communications, too! They give out so much inside their journalling entries, I think it’s a safe call to say you genuinely feel close to them as if they were within your circle of friends. They connect with you whilst they share their story and in this way, you start to become organically a third-person privy to their experiences as you dig deeper into their journalled relationship. Within the pages of Part II, you start to uncover the heart of their connection, how questions queried between Selena to Duane start to develop a stirring conflict of understanding the human heart. In her interest of understanding men straight from the horse’s mouth, she was encouraging Duane to take an introspective journey alongside her whilst he attempted to both humour her and encourage her through his replies. I found this exchange quite keen because it wasn’t as much about their shared walk of faith inasmuch as it was an open dialogue about relationships and how men vs women see things from different perspectives. I found that to be a healthy way to start a conversation with someone you’ve met via an online dating site but moreso, a healthy way to ‘start’ a connection to someone; to get to know them from the ground up so to speak. Giving out a bit of your anxiety on life and relationships in general and being receptive to the replies that might challenge where your thoughts lie or endeavour to soften the jaded edges that life brought into your present. The Pannells have a serious attraction to comic relief, when he wasn’t contemplating resolving a few things he felt he should work on ‘before’ meeting a woman he might consider entering into a long-term relationship; she was on the other end of the computer screen making light of the fact he trusted her like he would a nun! I loved the tongue and cheek of their exchanges; sometimes poignant and full of depth; oft-times comical and bang-on accurate observations from singletons who are navigating how to find a second chance after divorce. They each brought humbling truths to the evolving scope of their exchanges but I liked how they let the words set the pace of their story; you truly get to see the nuances of how they started to come together and how their romance began. I should explain, the reason his remark about working through issues ahead of a relationship had me stifle a small laugh is because I, like you, dear hearted reader knew he was chatting with his future wife. The retrospect aspect of reading this as it unfolds is with the insight of the present; it was good humoured because he hadn’t known then that the woman who would help him work past his ‘past’ was the woman he was meant to meet all along. One interesting bit, the reader of 3000 Miles to Eternity is privy to the back-story of how Duane and Selena arrived at LDS Singles; meaning we have the fuller story of their lives prior to when their paths crossed. As their correspondences lengthened and grew quite frequent, it was interesting seeing how they shared the same back-stories and histories of their prior marriages as much as who they were whilst they were married. It felt a bit like their history was set on auto-play repeat, but with the unique twist of seeing how they imparted what they each wanted the other to know. It wasn’t an outright duplication because some of the bits they were sharing were altered from their private journal entries; it was more like watching how two people could start to see how trust isn’t as complicated as it appears and how communicating what’s weighing on your mind and heart is both cleansing and freeing. Ha! I even knew who would fall for whom first and it was quite the treat to arrive at that knowledge on page 95, even if technically it was revealled on page 92! I loved how there was this moment of ‘did you see what I wrote?’ and a challenge of ‘are you going to respond’ volleying back and forth! One of the best moments of compassion is when Duane commented on a loss of Selena’s in such an eloquent way of reflecting on how the loss of the life truly held a reason for happening was beautiful to read. His words were poetic in their simplicity but it was the greater truth of what he was sharing that will touch any woman’s heart when she reads it’s passage. It’s an alternative way of looking at a tragic loss and how through tragedy we are touched by grace. You cannot stop reading their correspondences – you get addicted to see how they are going to respond and how with each new reply they ferret off to each other, they are shedding their worriment about where their fears were allowing their spirits to stifle their hopes. It is quite incredible just how much depth they gave to their conversations – they didn’t just attempt to help each other out by transitioning past emotional baggage, they quite literally broached subjects and topics which are both serious and harder hitting. Receptive to each others emotional heart and willingly gauging each others ability to respond is what set them apart. They took each other at ‘hallo’ and the romance bloomed organically out of what they shared through electronic letters. Duane and Selena’s correspondences began quite cheekily anchoured in humour; the type of humour you’d expect to find from singletons (irregardless if they were recently divorced or not!) who want to approach connecting to someone with a light-hearted attitude and a genuine acceptance of ‘a meeting of the minds’ agreement to converse without the fuller expectation of serious dating. I could tell from their initial interactions, neither of them knew where these exchanges were going to take them and that gave them a heap of appeal to continue reading where their communications online were leading. It’s such a curious aspect of our 21st Century lives (although we had the technology at the latter half of the 20th; most today do forget that! lol) where we can settle into a small box of an email or an internal note service (presumably similar to what they used to exchange notes on LDS Singles) writing a truly openly personal missive and casting it out into the void unsure what to expect in return. It’s a trepiderious step of trusting the serendipitous nature of curiosity combined with hope. Will the words you formulate in the note be warmly received? Will the return reply be a measure of what you hoped to find returnt to you? Will you connect, even in an informal way with the person your corresponding and if you feel that connection, do you expand on it or let it stand as it is? Interestingly when they were writing about their life stories, Duane wrote in the first person and Selena wrote in the third person (or at least I believe that’s true if your saying ‘she’ not ‘I’; specifics on the tech aspects of grammar is never a strong suit for a dyslexic! ); I am not sure why either; unless of course, Selena as attempting to gain a bit of distance yet remain open about sharing the past. The beauty of correspondences is how open and vulnerable you can be with a dear friend who will tuck your words into their heart and respond with the warmth you need at the time of their response. Correspondence also lends itself to being an open space of honesty – you can be yourself without the curtails of insecurities afflicting you because there is a distance between you and the person your corresponding with and in some ways, this is admirable on both your parts. Your choosing to be in touch with each other and keeping company by conversing about such an eclectic variety of topics, that you tend to knit together a very close friendship built on trust. Let’s just say I have the tendency to gush about novels that I love reading – so much so, these conversations I have with those near and dear to me take on epic proportions of realism! I even chat up a book to my librarians and the clerks at local fast food eateries – if I find a like-minded bookish soul, why not share the joy of a recent wicked sweet *must read!*? I find the best moments by far though are when I’m settled into eating lunch or dinner (be what may), whilst in rapt remembrance of the last bits and bobbles of the chapters I’ve recently read and finding a genuinely animated way to relate what those pages were telling me of the story! I do not oft broach this on my blog, but it’s a classic part of my bookish life – I tend to be a chatterbox who likes to talk about characters and bonefide real-life persons inside non-fiction as if I had recently met them and/or knew them personally. The conversations tend to draw the interest of others seated around me, who sometimes crane their neck to overhear every inch of what I’m relating to the person or persons I’m speaking too OR they draw my eye and make an enquiry of their own! This happened quite a heap recently whilst I was battling through all the lightning storms — whereupon I was either vexed I only had been able to read the first five chapters of my next #SRC2015 pick which is #800Grapes by Laura Dave OR I was happily alighted inside Henry Adams tucked inside the sixth novel of the Blessings series by Beverly Jenkins! I spoke a bit about my musings on behalf of the excellent layering of world-building crafted by Katy Haye whilst making my way through The Last Gatekeeper, but the most requested book for my Mum and Da’s interests was the very next bits of how #3000MilesToEternity led to marital blissitude! I was blocking out the book in chapter installments and I had such a captive audience in both my parents and the surrounding people eating amongst us, I nearly wasn’t sure if anyone else was talking! I promised them as soon as I could I’d give them the rest of the story, but they truly felt like I had; this is a story to give hope to all stories regarding love and romance. This is truly what strikes you when you first pick it up to read; the overwhelming amount of hope etching out of it’s pages and it’s recollection of memories. As an aside, if you happily converse about the stories your reading (either fiction or non-fiction) do you ever notice those around you are quite aghast at first but then, so hungry for the story, they simply absorb what your saying with keen interest? Sometimes I think when I chat about the fictional stories, the overseers and listeners might mistake a bittersweet dramatic story for one that truly was lived! I am sure there are other book cheerleaders out there who happily chat about their current reads inasmuch as I do!? Visually, 3000 Miles to Eternity hits all the marks for a letter-writer turnt voracious reader to embrace because it’s the type of book a letter-writer would pick up to read! I’m speaking from personal experience, because it’s not just the outer layout of graphics intermixed with typography to make this a catching book cover, it’s how the internal bits are composed and arranged as well. As soon as you open the book itself, your greeted by the intimacy of a private journal being privy to your eyes whilst engaging directly through a time portal inside the Pannells lives. The typeset eludes to a scrapbooking approach in some ways, and a high tech method in others; your shifting from both their private thoughts journalled out via entries and notations dated per each shared piece that allows us to follow back through their footsteps into how their lives became entwined. The journals give way into a hearty exchange of emails and a cheeky look-see into how to set-up a profile of a hopeful singleton. The third part is a return to their journals – this is why this stepped out in my mind to be similar to Letters from Skye because of how the story is perceived by the reader and how the story is told by the author(s). Your given only so much insight per journal entry and/or email correspondence; you have to see through what is on the page and envision this journey in a very unique style and method of delivering a story through an interpersonal exchange of correspondences. If your new to this style, I nearly would suggest you pick up a copy of Letters to Skye and then forge directly into this nonfiction account; however, the Pannells do such a bang-on brilliant job at knitting you into their world, I’d be plumb shocked if you needed to read a fictional love story to understand the realism of this one. Either way, I hope the epistolary novels and memoirs I’ve read and shared with you previously will become an earmark on your next reads list! The joy they gave me would be wicked lovely to see tenfold enjoyed by new readers! what if you created a fictional EPISTOLARY series for Young Adults? What do you love the most about Epistolary novels and works of non-fiction where you get to enter into the heart and mind of the protagonists in such an intrapersonal way?! I’m a social reader. I tweet as I read. Sometimes even before I pick up the book! #currentlyreading #3000MilesToEternity a #realistic #lovestory rooted in today’s world, knitted together w/honesty; such a compelling read! Yes! I truly did bring this up during my weekly Rom chat! I love chatting up books I enjoy reading and this one truly held my attention and captured my joy! A reply about PM I sent the Pannells about my delay in posting my review, as clearly the lightning storms wicked out my ability to have any semblance of a schedule during July! 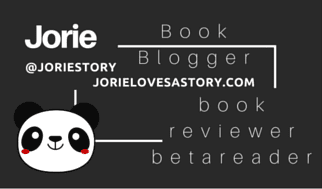 I truly try to find a contact for an author I am hosting via a blog tour whilst realising my original post date has an emergency change of date. Illness or Summery storms aside, sometimes life throws you a curveball your not expecting! Resuming where I left off with both my review & my live reading tweeting! #nowreading | #3000MilesToEternity by @pannellbytes lightning / water issues notwithstanding! so very wicked anxious to finish #amreading! « Blog Book Tour | “For Your Love” by Beverly Jenkins A story within the small towne of Henry Adams, Kansas; a continuance of the Blessings series! #WaitingOnWednesday No.7 | A Book Blogger decides to [self-publish] her #bookblog’s best of the best ‘book reviews’ via #Kickstarter! Blog Book Tour | “Enslaved to Saved: The Metaphor of Christ as our Master” by W. Reid Litchfield This is a #nonfiction #mustread for readers of #ChristFic, #INSPY, & #LDS! It reaches across hidden barriers and unites all of us together. Blog Book Tour | “More than the Tattooed Mormon” by Al Carraway This should have been renamed to better describe the internal light Carraway ebbs out of her spirit and onto the page! Blog Book Tour | “Eruption” by Adrienne Quintana A #technothriller within a ‘#timetravel’ central arc knitting into it a heap of suspense! This is the best comment I could receive and I am sure the Pannells will be equally thankful that their story has become equally curious to you through my ruminations! Wicked stellar, happy reading!